Will a shorter summer break save these schools? (CNN) - Three struggling elementary schools in Yonkers, New York, are dramatically reducing the length of summer vacation in an attempt to turn the institutions around. The schools days will be longer, and summer vacation will last only one month, starting August 1. 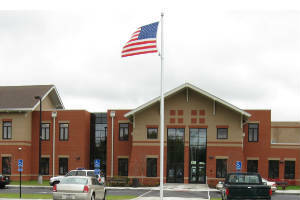 Some parents are upset, saying it cuts down on valuable family time, and kids' opportunities to participate in summer sports and activities. A researcher argues that kids aren't robots, and can benefit from a break. But Bernard Pierorazio, superintendent of Yonkers Public Schools, say the decision is made. "We have to do something different," he said. What do you think? Would shorter summers would help your children learn, or improve their schools? Share your thoughts in the comments, or on Twitter @CNNschools. (CNN) - What if everything you thought you knew about education was wrong?What if students learn more quickly on their own, working in teams, than in a classroom with a teacher? What if tests and discipline get in the way of the learning process rather than accelerate it? Those are the questions Sugata Mitra has been asking since the late 1990s, and for which he was awarded the $1 million TED Prize in February at the TED2013 conference. Mitra, professor of educational technology at Newcastle University, won the prize for his concept of "self organized learning environments," an alternative to traditional schooling that relies on empowering students to work together on computers with broadband access to solve their own problems, with adults intervening to provide encouragement and admiration, rather than top-down instruction. Mitra's work with students in India has gained wide attention and was the focus of a 2010 TED Talk on his "hole in the wall" experiment, showing the potential of computers to jump-start learning without any adult intervention. Coming to education trained as a physicist, Mitra said he was encouraged by his boss to start teaching people how to write computer programs. When he bought his first personal computer, he was surprised to find that his 6-year-old son was able to tell him how to fix problems he had operating the machine. He thought his son was a genius, but then heard his friends saying the same thing about their children. Newcastle University professor Sugata Mitra won the 2013 TED Prize for his experiments in self-organized learning. Long Beach, California (CNN) - What if everything you thought you knew about education was wrong? What if students learn more quickly on their own, working in teams, than in a classroom with a teacher? 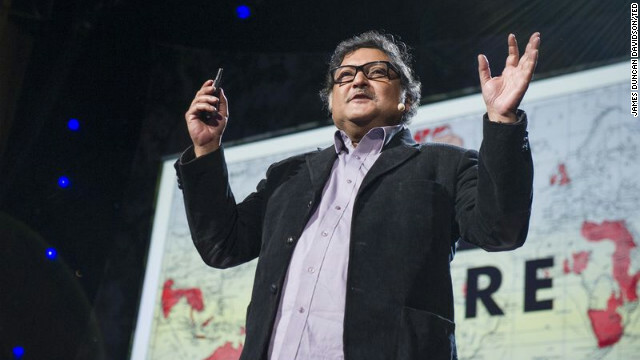 Those are the questions Sugata Mitra has been asking since the late 1990s, and for which he was awarded the $1 million TED Prize on Tuesday, the first day of the TED2013 conference. Mitra, professor of educational technology at Newcastle University, won the prize for his concept of "self organizing learning environments," an alternative to traditional schooling that relies on empowering students to work together on computers with broadband access to solve their own problems, with adults intervening to provide encouragement and admiration, rather than top-down instruction. Thinking about children living in slums in New Delhi, he said, "It can't be possible that our sons are geniuses and they are not." Mitra set up a publicly accessible computer along the lines of a bank ATM, behind a glass barrier, and told children they could use it, with no further guidance. They soon learned to browse the Web in English, even though they lacked facility in the language. To prove the experiment would work in an isolated environment, he set up another "hole in the wall" computer in a village 300 miles away. After a while, "one of the kids was saying we need a faster processor and a better mouse." When the head of the World Bank came to see the experiment, Mitra said he encouraged him to go to the New Delhi slum and see for himself. 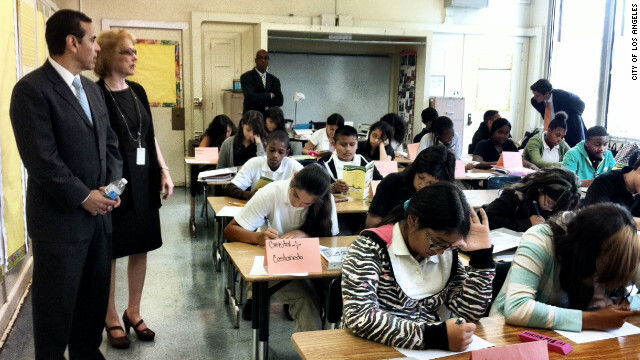 L.A. Mayor Antonio Villaraigosa visits Gompers Middle School, which is run by Partnership for Los Angeles Schools. 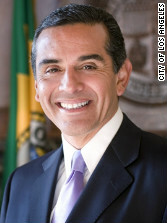 Editor’s note: Antonio Villaraigosa is the 41st mayor of the city of Los Angeles. 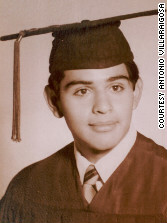 (CNN) - My story began like far too many people across this country. My father left when I was 5 years old. My mother, sometimes working two jobs, raised four children on her own in East Los Angeles. She was always my touchstone, the person who taught me my core values. It was her quiet grace, strength in the face of adversity and unflinching will that served me so well in life. However, despite everything she poured into our family, we kids didn’t always make it easy for her. By age 16, I was kicked out of the Catholic school she had worked so hard to send me to. I found myself at the local public high school, Roosevelt. It was a “drop-out factory.” I was put into remedial classes, which I found boring and unchallenging after my previous education. But even worse than that, I felt like the school had given up on me. So, I gave up on myself and dropped out. My story could have ended there. I could have become one of my many peers who didn’t graduate. But my mother would not accept that fate for me, and a Roosevelt teacher named Herman Katz took an interest in me. They saw my potential and fought for me. They pushed me back into school. They pushed me to finish what I started - and I did, graduating in 1971. From there, I went to East Los Angeles Community College and transferred to UCLA, one of the finest institutions in the world. At UCLA, I was the beneficiary of affirmative action. Some would say I walked in through the back door. But one thing’s for sure, I went out the front. I had a diploma in hand, a future ahead of me and my head held high. For me, public education really was the great equalizer. That’s why I believe education is the civil rights issue of our time. As a high school dropout, I see a part of myself in every kid who wants to give up because they think the system has failed them. Sadly, the United States now enjoys less economic mobility than Canada and most of Western Europe. Those born into poverty in America lack genuine opportunities to change their fate because they lack access to great public schools. The writers warn that dads shouldn't think of their kids' schools as "mom's territory." Their presence helps. 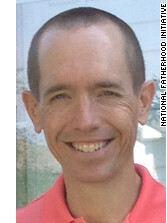 Editor’s note: Christopher Brown is executive vice president of the National Fatherhood Initiative. 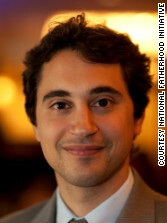 Vincent DiCaro is vice president of development and communication of the National Fatherhood Initiative. (CNN) - There is no shortage of answers about how to improve our nation’s schools, including more charter schools, school vouchers, standardized testing, lower teacher-student ratios and performance-based hiring, pay and promotion of teachers. However, what we find lacking in almost every debate about education reform is the role of families - especially fathers - and the support they can and should provide to ensure children’s educational success. If parents, educators and reformers are to make a difference in improving children’s educational success, we must expand our definition of education reform. We must move beyond the myopic focus on education systems and implement tactics that include a more prominent place for parent involvement in schools. The omission of “the father factor” is especially troubling in light of research released last month that examined family trends in 45 countries and how children’s educational success is affected by their parents. The “World Family Map” report by Child Trends, a nonprofit, nonpartisan organization, found that even when controlling for income, children in middle- and high-income countries who live with two parents have better educational outcomes than children living with one or no parents. Specifically, children in two-parent homes were more likely to stay on track in school and have higher literacy, both of which are critical to overall educational success. 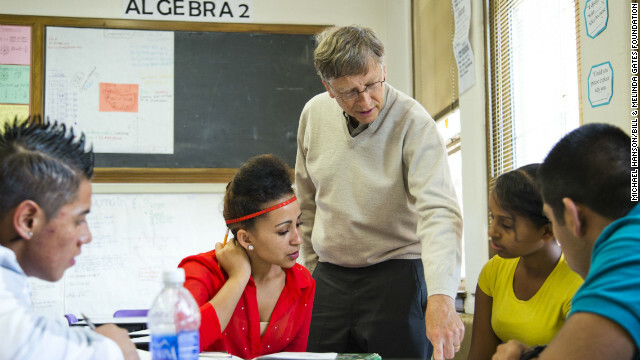 Bill Gates discusses class work with students at South High School in Denver, Colorado, last year. Editor's note: Bill Gates is co-chair of the Bill & Melinda Gates Foundation. 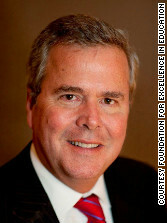 Watch an interview with him Sunday on "Fareed Zakaria GPS" at 10 a.m. and 1 p.m. ET. (CNN) - Today I released my annual letter. 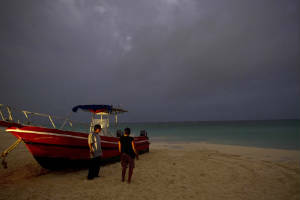 Each year, I reflect on what I learned in the last year through our travels and work with the foundation and how that will shape my thinking over the coming months. This year, my letter focuses on how important it is to set clear goals and measure progress in order to accomplish the foundation's priorities, both here at home and around the world. Setting a clear goal lets you know what you're driving at: Picking the right interventions that will have the most impact on that final goal, using that information to understand what's working and what's not, and adapting your strategy as necessary. One of the clearest examples of the power of measurement was the work of our partners to support great teachers. In the past few years, the quest to understand great teaching has been at the center of the public discussion about how to improve education in America. But for the country's 3 million teachers and 50 million schoolchildren, great teaching isn't an abstract policy issue. For teachers, understanding great teaching means the opportunity to receive feedback on the skills and techniques that can help them excel in their careers. 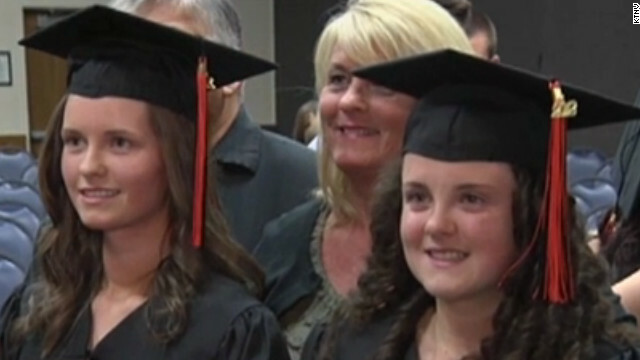 For students, it means a better chance of graduating from high school ready for success in life. But what do we mean when we talk about great teaching? In my experience, the vast majority of teachers get zero feedback on how to improve.